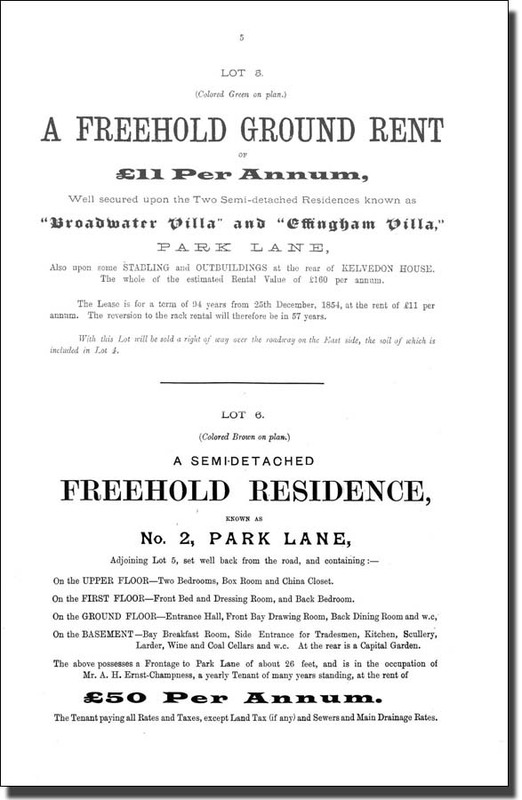 By 1891 when Mr. Alexander, the owner, died the sale document was impressive. 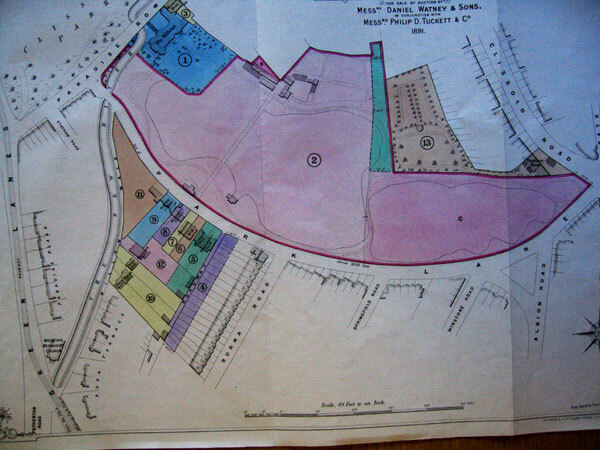 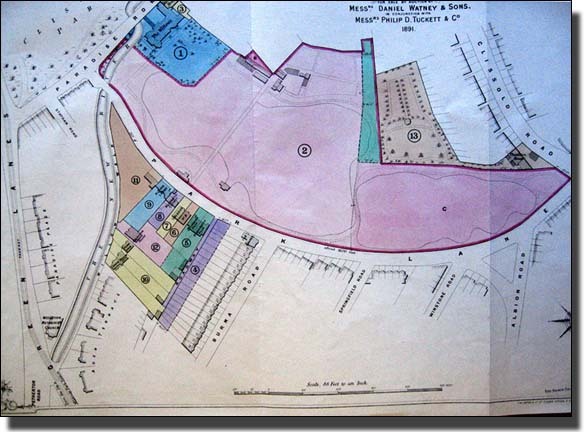 It describes a ten acre site and each of the various houses in detail and, at the end, was this coloured plan, now lying in Hackney Archive as bright as when it was first printed. 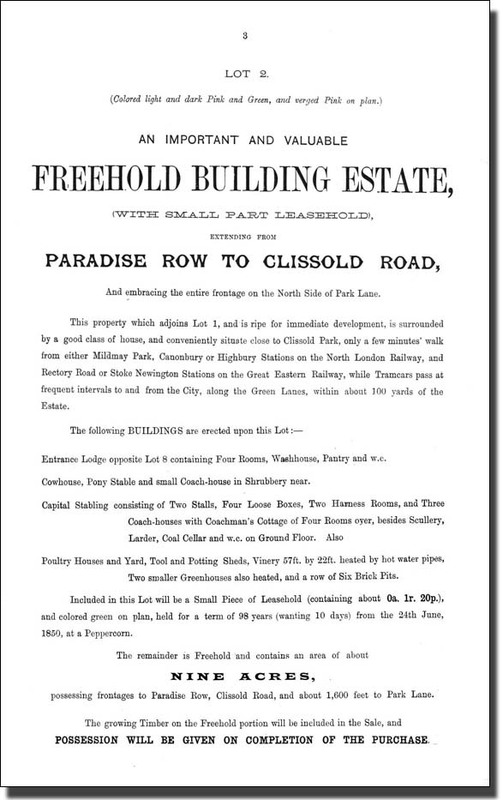 You will find details on this sale and the continuing story of the development of Clissold Crescent by clicking on the map. 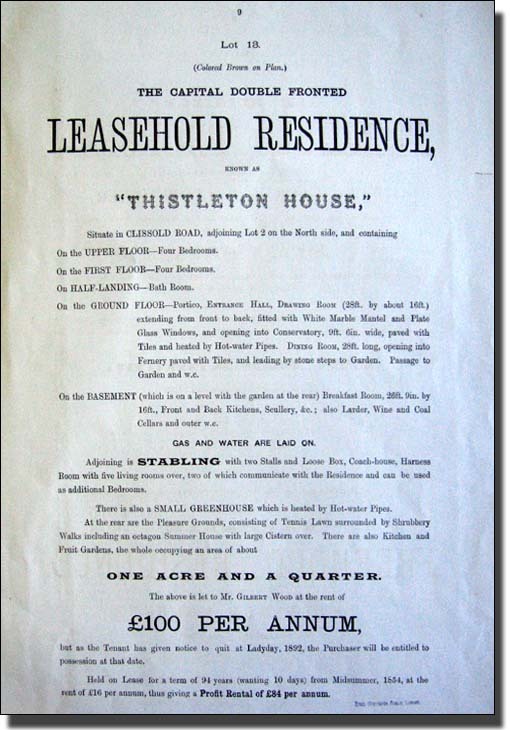 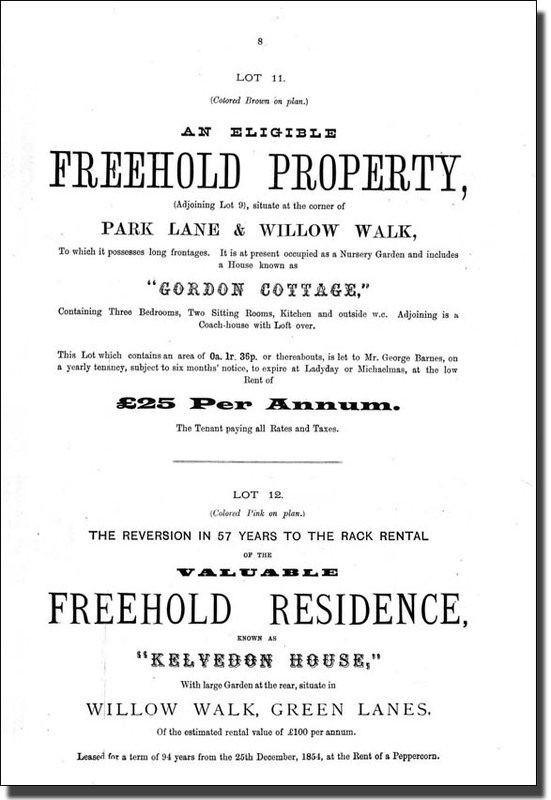 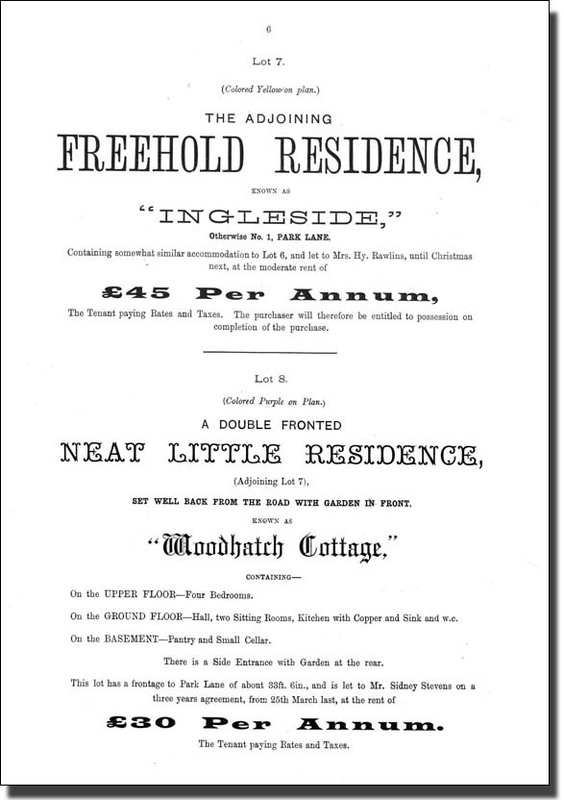 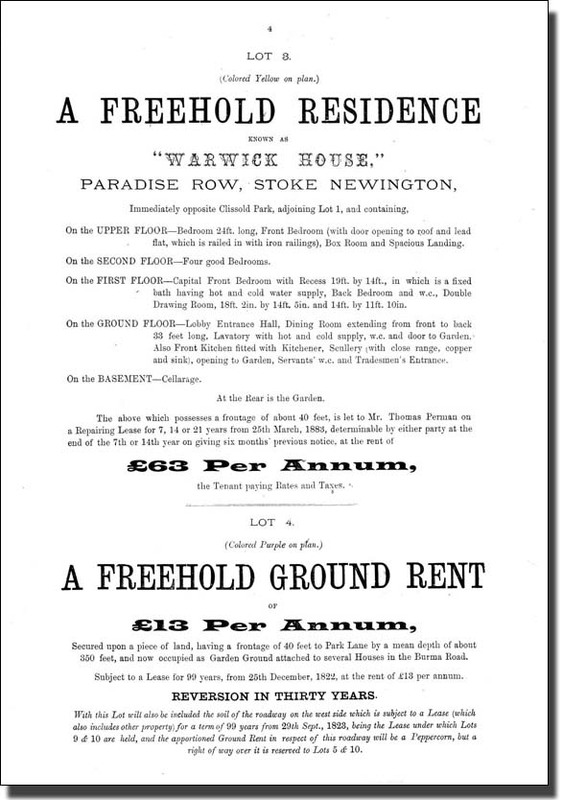 THIS IS A COPY OF THE SALE DOCUMENT FOR THE AUCTION OF A LARGE ESTATE WHICH STRETCHED FROM STOKE NEWINGTON CHURCH STREET TO CLISSOLD ROAD. 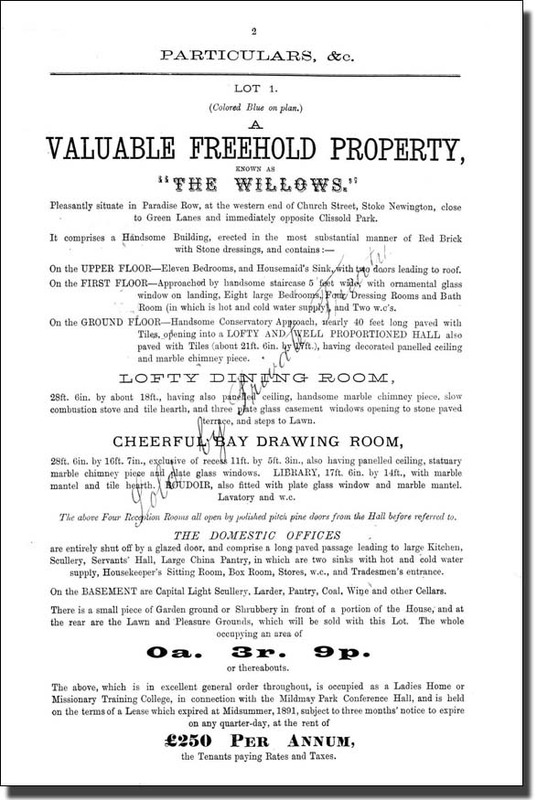 Lot 13 has been left as a photograph to show the appearance of the original document. 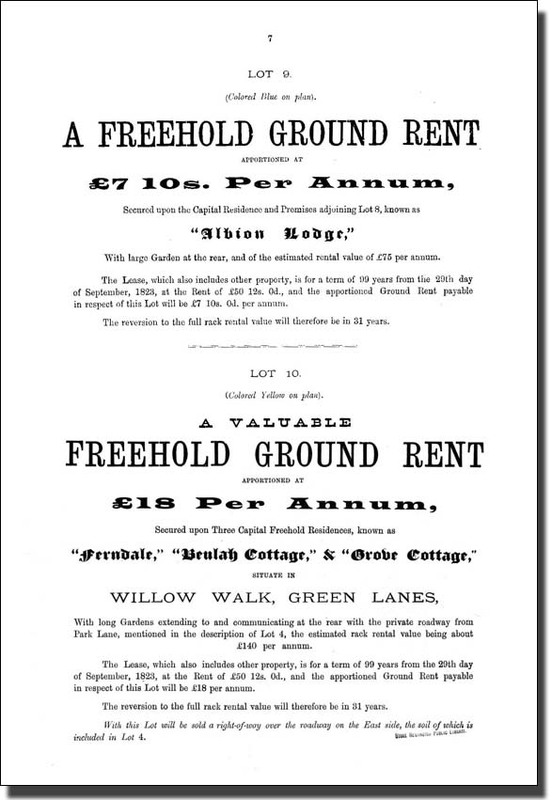 Reprinted by permission of Hackney Archive.